RSS, or Really Simple Syndication, allows you to continuously receive updates from your favourite blogs and websites in one central location. Handy, right? In this tutorial we’ll show you how to set up an RSS reader so that you can stay current with news that’s important to you. 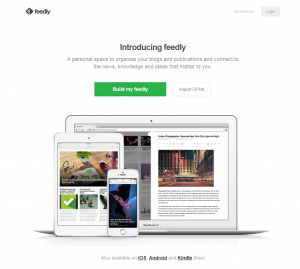 There are lots of free and easy RSS readers available, but for this tutorial we’ll be using Feedly, recommended by Google after they discontinued their own RSS Reader, Google Reader. First, go to Feedly. You have access to Feedly through your Google account; all you have to do is go to the Google Button under the Quick Start menu and login using your Google account. You also have the option of getting started by using your account information from Facebook, Twitter, or Microsoft. Once you sign in using your account information, you can start adding the feeds you want and categorizing them. Adding feeds is simple — just type a search term, topic, or URL into the search form on the Add Content Page. 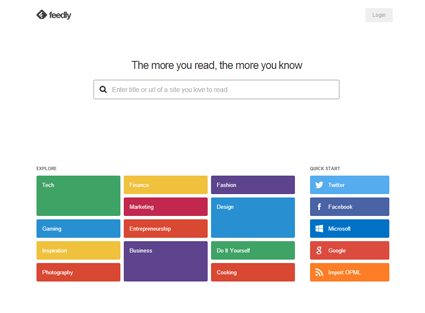 If you want to change the way feeds appear on your page, click the settings icon on the top right corner of the page. 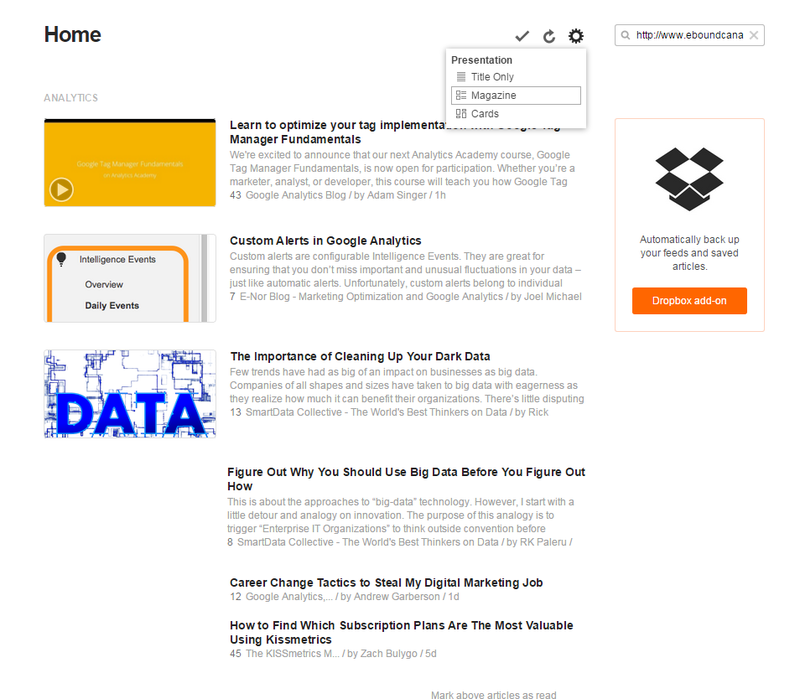 From here, you can choose how you want articles to display — as list of titles, magazine view, full articles, etc. Happy RSSing!